Environmental Protection Agency (EPA) Administrator Scott Pruitt has announced that the agency’s personnel are reconsidering their stance on “legacy” uses of asbestos. What this means is, the EPA could reverse its original decision, made in 2017, to only review “current and prospective” uses of asbestos. The decision is under review for a number of reasons. “Current and prospective” uses of asbestos do not pose the biggest threat to Americans. Asbestos-abatement experts say asbestos in older and deteriorating buildings is the number one source of exposure to firefighters, workers, and the general public. Under the original EPA decision, this fact would be ignored. According to a recent Chicago Tribune report, the original decision would gauge the risks “from just a few hundred tons of the material imported annually, while excluding almost all of the estimated 8.9 million tons of asbestos-containing products that the U.S. Geological Survey said entered the marketplace between 1970 and 2016. While the original decision is currently being assessed, there is no word yet on when a final decision will be made. Increased public transparency for chemical information. Mandatory requirement for EPA to evaluate existing chemicals with clear and enforceable deadlines. New EPA rules, combined with the reversal of the original decision on legacy uses, has the potential to save thousands of lives. An all-out ban, says Senator Dianne Feinstein (D-California), could save “as many as 15,000 Americans,” each year. If you have been exposed to asbestos, see your doctor right away. 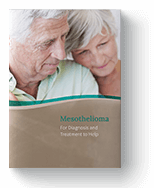 Although there is no cure for mesothelioma, early detection could lead to better treatment options and outcomes. Brown, Matthew. "EPA Chemical Review Would Exclude Millions of Tons of Toxins." Chicagotribune.com. Tronc. Inc., 26 Oct. 2017. Web. 15 Mar. 2018. Miller, Julie A. "Democrats Introduce Bill Demanding Ban on Asbestos in US." ChemicalWatch.com. CW Research Ltd., 09 Jan. 2018. Web. 17 Mar. 2018. "Scope of the Risk Evaluation for Asbestos." EPA.gov. United States Environmental Protection Agency (EPA), June 2017. Web. 15 Mar. 2018. "The Frank R. Lautenberg Chemical Safety for the 21st Century Act." EPA.gov. United States Environmental Protection Agency (EPA), 15 Mar. 2018. Web. 17 Mar. 2018.